For the past 13 years, I've twisted balloons. It was never something I thought I'd be good at, but through a lot of work, imagination, and dedication it has become my superpower and now I can't get enough of it! From balloon dogs to balloon dresses, if you can think of it there is a strong possibility that I have made a balloon version of it. Ever since I read my first comic books I've loved their bright and bold style of art. Punchy and colorful graphics that excite and bring you into worlds where incredible feats are completely possible. It is an art form that lends itself perfectly to my medium of balloons. Over the last few months, I have been recreating classic comic book covers whenever I had time. 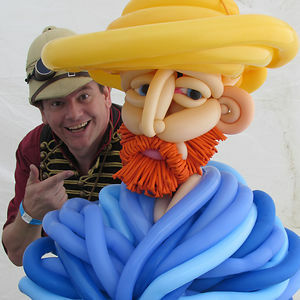 These balloon sculptures are larger than life (fitting in a 10 foot by 10-foot space) and take many days to make. I even made had to make one in two sections (Superman vs Muhammed Ali) to allow me to visit New York in the middle of making it. The great thing about these is that although the balloons are now all popped, the images and memory of them last forever. My plan is to make them into prints and stage an art exhibition as I have done with previous passion projects. I hope you enjoy my 'Balloon Heroes' project, if so please share it. 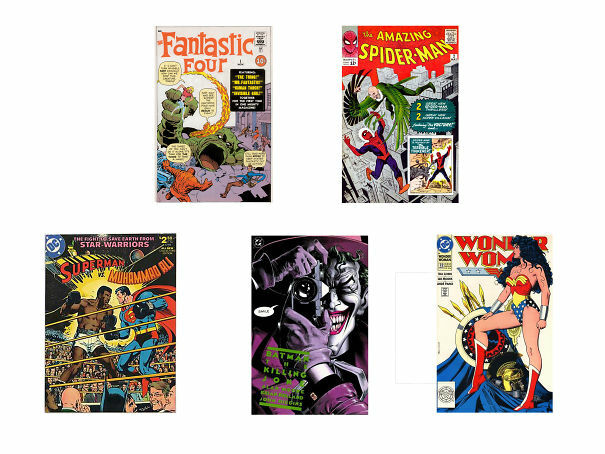 Also if you have a favorite iconic comic book why not comment below? Maybe I will turn it into a huge balloon sculpture just like I did with these ones! How many balloons did you accidentally popped in the process?! I wouldn't have the patience to even try. Congratulations, these are wonderful. Believe me there were a few. I think Superman and Ali's heads each took 3 or 4 drafts before I was happy. The worst is when you notice a vital balloon has popped and it was holding the other ones in place. Crazy!